The Council for Economic Opportunities, with its partner, the Cleveland Clinic, put on the Fit You! event at the Outhwaite Head Start center in Cleveland. The event puts fitness and healthy eating in the forefront of people’s minds, as they play games and keep moving with activities set up around the center’s gym. 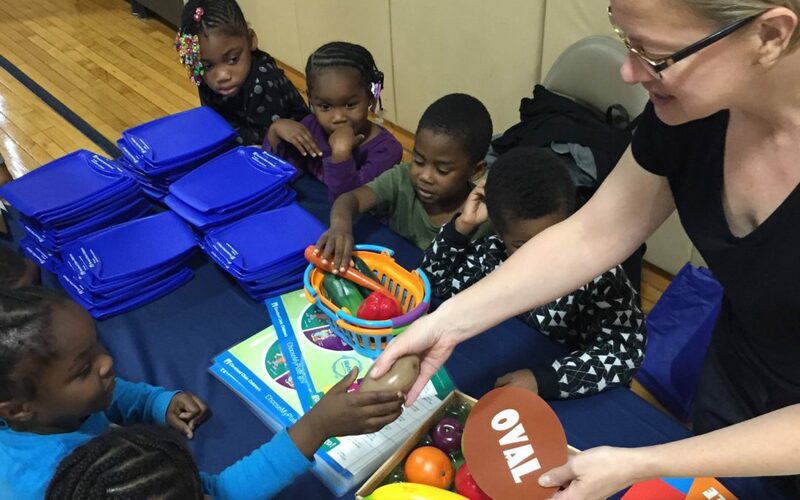 In addition to physical activities, families were shown how to put a well-balanced meal together, and there were cooking demonstrations from a chef from the Cleveland Clinic. The kids also learned about the differences between fruits and vegetables, and talked about which ones were their favorites to eat! The Fit You! event is a semi-annual event, and always draws a big crowd of Head Start families. Parents and kids alike learn something new, and have fun doing it. Thanks to our friends at the Cleveland Clinic for making this month’s event such a success!